Biography: Maureen was married to Keith for 19 years before being widowed in 1988 and has two grown children, Francis and Jacinta. 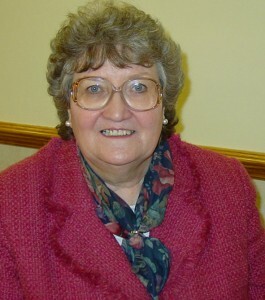 Maureen was a teacher and Trustee who served on the Board of Women of the Word for five years and was the Director of Marriage Matters (UK). She has been an ordained minister since 1984 and directed her own teaching ministry, Word of Integrity. She has recently began pastoring Calvary Church - Grimsby. Maureen has ministered in Ireland, Estonia, Sri Lanka, United States, and has a vision to encourage believers to apply the truth contained in the Word of God to their own lives and to their community. As co-director of Ladies of Grace, Maureen fulfills her dream of reaching ladies of the world with the gospel. Strengths: Maureen carries joy wherever she goes. She is a gifted teacher and encourager, especially to women.